The law of averages is the best friend of mass media marketers. Even if an ad has a click through rate (CTR) of less than 1 percent, the sheer volume of people who will see the ad will mean the business can count on some return on their investment. However, there is no reason for business owners to simply be satisfied with their CTR as it is. All banner ads are not created equal and some greatly outperform others. The key to maximizing the effectiveness of a marketing budget is to make ads that get people to click. This post will explain four tips that marketers can use to increase the CTR and overall ROI of their banner ads. The biggest problem that marketers run into when using banner ads is that they aren’t getting their ads seen by the right audiences. According to some estimates, the typical Internet user sees 1,707 banner ads per month (with an average 0.1 percent click rate for all banner ads, this suggests that every month a user clicks on one to two ads). However, since most of the ads the user sees has little to do with what they need or want to buy, the ads fall on deaf ears. Properly using the audience segmentation tools on an advertising platform and choosing the right network for a target audience (including the best sites for target consumers) gives marketers a great advantage in getting their ads clicked. Audiences on the internet can be strange in that simple changes can have big impacts on click through rates. When designing ads, be sure to experiment with different background colors, different calls to action, and different ad sizes. 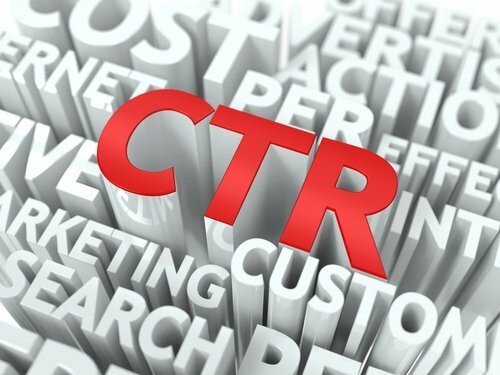 Playing with this factors can produce an ad with a significantly higher CTR. Remember, just going from 0.1 percent to 0.2 percent would represent doubling the response rate. It’s also beneficial to try different ways of propositioning the value to the customer. Rewording things may make an offer more attractive. Getting consumers to click is only half of the problem. Marketers need to make sure that their landing pages are optimized to convert ad clicks into shopping trips. One tip is to include videos on landing pages. A recent study from EyeViewDigital showed that adding video increased the conversion rate for a landing page by 80 percent. There are several benefits of adding video. Besides capitalizing on the general laziness of people who prefer to watch videos instead of reading ad copy, using video increases the length of time people stay on your page, which gives your marketing message longer to work its magic and by including employees or business owners in the video, the trust factor is raised significantly. When trying to vy for the attention of web surfers, less is often more. Marketers and business owners undoubtedly have tons of information they can put onto each ad. But the more content on an ad, the less meaningful each piece becomes. So if an ad already has a brand logo and a call to action, there may not be enough room to include that photo, client testimonial, slogan, contact info, etc. That’s what the landing page is for. As was noted earlier, it may be worth trying different combinations of these elements to find what works best, but trying to shoehorn them all into one ad is a recipe for an ignorable ad. For all the grumbling that many marketers make about display ads, it hasn’t stopped the industry from bringing in record amounts of revenue from in display ads. According to the most current data from the Interactive Advertising Bureau (2013 data will be available next month), digital advertising revenues climbed to a milestone high of $36.6 billion in 2012. This record also marks a 15 percent rise over 2011’s full-year number, which had been the highest on record. There is clearly a lot of steam left in digital advertising and display ads. Use these tips to make sure that your ads are getting the attention they deserve.